These fans always seem to pick the wrong celebs for a fight. 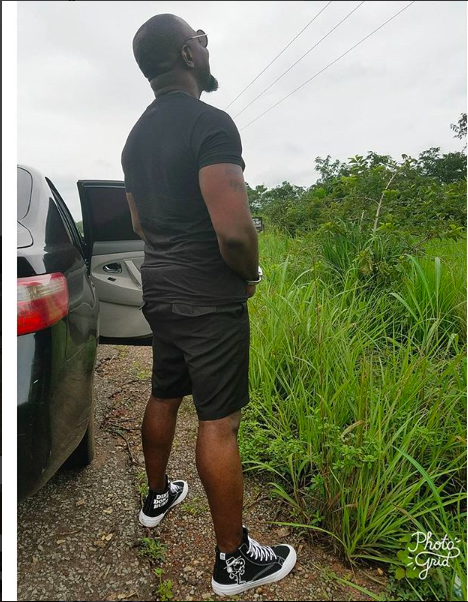 So one decided Jim Iyke was his banter partner this morning and ended up being ripped so much by the actor, I could feel his pain from here. 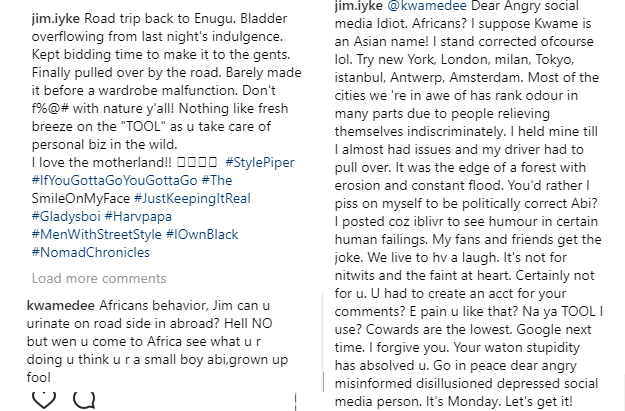 Jim Iyke who is a clap back master, descended on him so badly, dude might have to stay off social media for a while to nurse his wounds. Dear Angry social media Idiot. Africans? I suppose Kwame is an Asian name! I stand corrected ofcourse lol. Try new York, London, milan, Tokyo, istanbul, Antwerp, Amsterdam. Most of the cities we 're in awe of has rank odour in many parts due to people relieving themselves indiscriminately. I held mine till I almost had issues and my driver had to pull over. It was the edge of a forest with erosion and constant flood. You'd rather I piss on myself to be politically correct Abi? I posted coz iblivr to see humour in certain human failings. My fans and friends get the joke. We live to hv a laugh. It's not for nitwits and the faint at heart. Certainly not for u. U had to create an acct for your comments? E pain u like that? Na ya TOOL I use? Cowards are the lowest. Google next time. I forgive you. Your waton stupidity has absolved u. Go in peace dear angry misinformed disillusioned depressed social media person. It's Monday. Let's get it!